VRTP Unlimited memberships limited once again! I'm seeing ads on Facebook saying "last chance" to purchase unlimited membership. Seems odd how it has been available for two relatively short periods. To me "last chance" infers it may not be available again after this. Not sure what's going on! Not really. They did the same thing last year. Once they are back at capacity, they close off for the reminder of the financial year. They will be reopen for purchase again between July-Oct 2017. You'll see ? 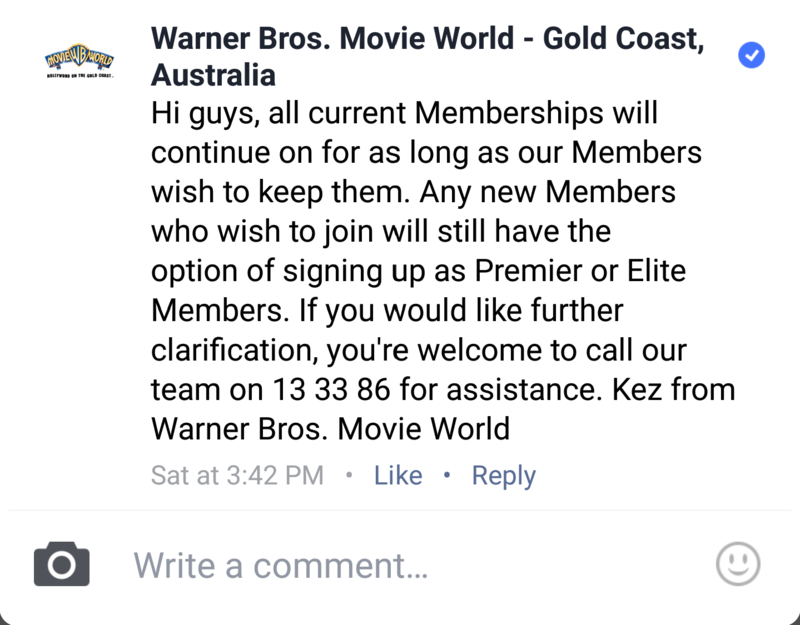 Worth noting Dreamworld are also taking their membership options offline at the end of this week. Question: I have been a member since the beginning and have kept paying past the 12 month period. I have assumed that as long as I keep paying month-to-month I maintain my membership regardless of when they close the offer... is this correct thinking...? All memberships are for a minimum of 12 months then will automatically renew month-to month after the initial contract year. This is your last chance to get a $10 Village Theme Parks Memberships this year! Worth mentioning that on that page, they offer a VIP upgrade option here which may be of interest to some people like @reanimated35 although i'd be surprised if he didn't already know about it. Worth noting that despite the FAQ linking to that page it was not offered this year and further down the page says upgrades from VIP are not avalible. 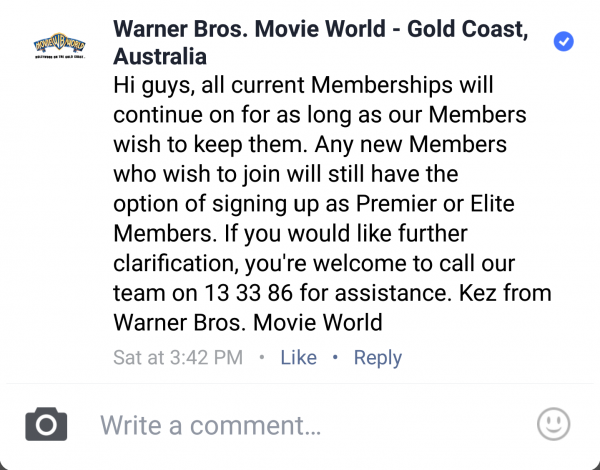 I can confirm that the Premier and Elite memberships will remain on sale next month even after the standard $10 per month memberships are discontinued. Worth noting despite being removed as planned it seems they have now changed their mind (or were misleading people to sign up ASAP). The $10 Village Theme Parks Membership offer has been extended! Get unlimited entry to 4 Theme Parks including Warner Bros. Movie World, Sea World, Wet’n’Wild and Paradise Country for just $10 a month. You’ll also have access to special member-only benefits like in-park discounts, exclusive shopping deals at top retailers and special pricing when booking holidays. Plus, get 3 months of Stan on us. With three great membership options to choose from that feature different levels of access, you’ll find the perfect membership to meet your family's needs and enjoy the convenience of low monthly instalments! Available for a limited time only! Get your $10 Membership now. More likely to be a domino effect after what happened at Dreamworld. If the obvious visual drop in attendance numbers at both Sea World and Movie World last week are anything to go by, I dare say a lot of memberships would have unexpectedly freed up since then. When I visited Movie World I certainly did not see an obvious visual drop, both during day hours and for the FN event on Saturday. Edited November 2, 2016 by Jordan M.
Sounds like we've had different experiences. My best friend went to Sea World last Wednesday and said it was like a ghost town, he walked through a large chunk of the middle of the park (including the Food Plaza) at midday and could count the number of people he saw along the way on one hand. A few of us here attended Fright Nights as a group last Friday night and couldn't believe how quiet it was either, we only had to wait 5-10 mins at at a time for mazes. Given it was the second last night, it was expected to be a heck of a lot busier. I was at Sea World last thursday, saw all Seal/Dolphin/Penguin Feeding shows. All usual crowd numbers in my experience for a mid week visit. Obviously the Dreamworld Incident is a factor. FWIW This is around the time my family and i have always planned our Gold Coast trips (We're from Adelaide). Usually seems to be the quietest time of year, most of the rides are only single op cause of that. Thing is, yes the overall amount of park visits are down, as going to a theme park isn't the thing people particularly want to be doing right now. But there are also less parks at the moment. 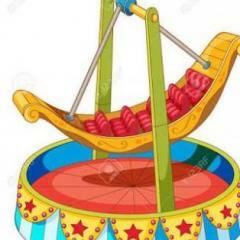 Attendance seems pretty stable at the Village parks so far, perhaps even a slight uptick, but it's hard to tell given we are coming off a bumper school holidays. I'm cynical enough to say that they probably always intended to extend the offer for memberships (which really there is no good reason to stop it ever). If the Dreamworld tragedy did affect them, it did so in this way; theme park advertising would be rather 'on the nose' right now, and it's rather plain to see that Village have pulled their marketing for the moment - so not a good time to be getting the word out about a new ticket offer.